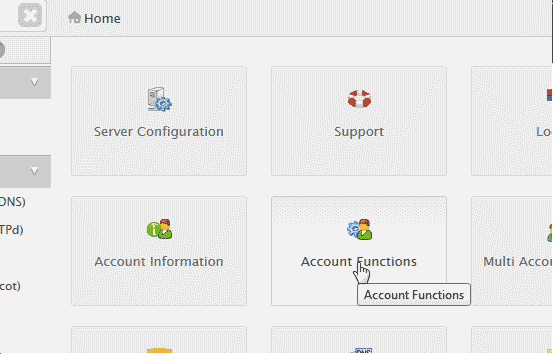 If you require to permit SSH access to an ordinary account created by you on your VPS or SSH is disabled on your hosting account this can be done easily through your WHM. 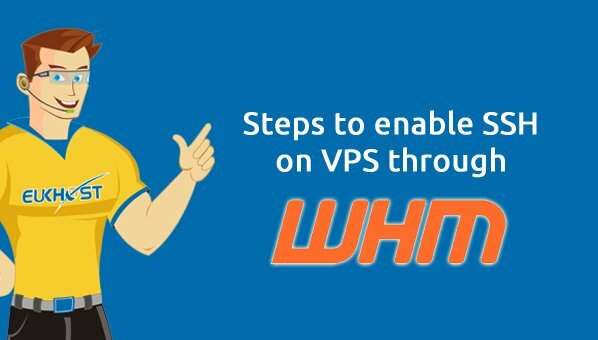 The following tutorial will explain how to enable shell access on your VPS server through the WHM. 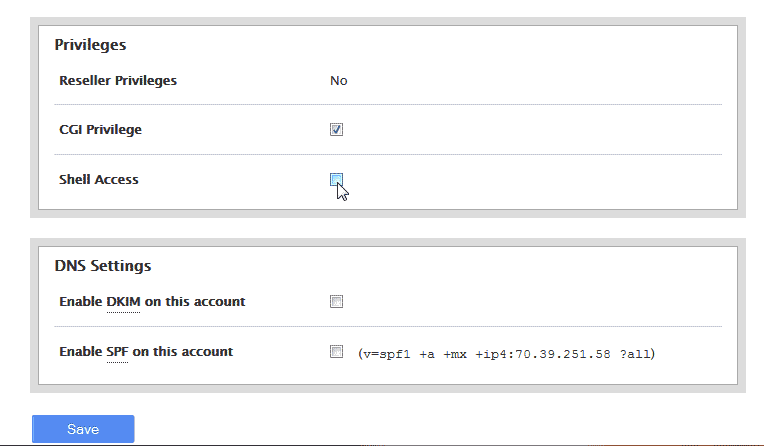 Please open WHM control panel on your VPS and navigate to Account Functions -> Modify an Account. (Check the below images for details). Please activate the SSH access for the account by checking the Shell Access check box. 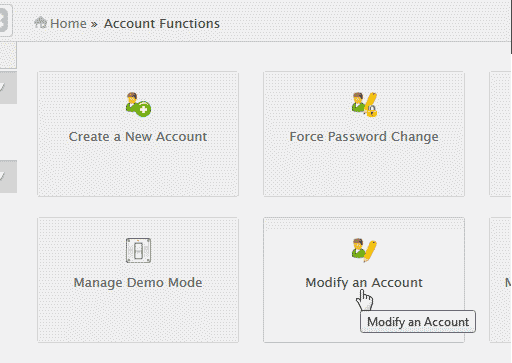 Now login to the cPanel account, navigate to SSH/Shell Access and click on the Manage SSH Keys. Either get a fresh key pair or import a key, which has been brought forth on the local computer of the user. Authorize the public key using the Manage Authorization link. Now download the public and the private keys and provide them to the user account.